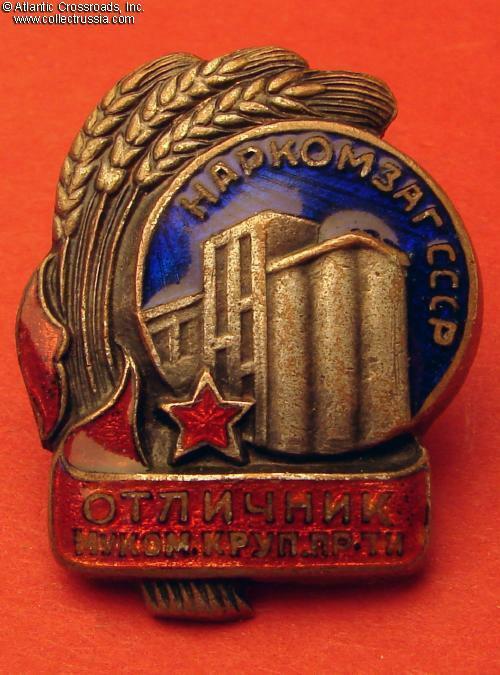 Badge for Excellence in Flour Milling and Cereals Industry, Narkomat of Procurement, #1496, 1939 - 1946. 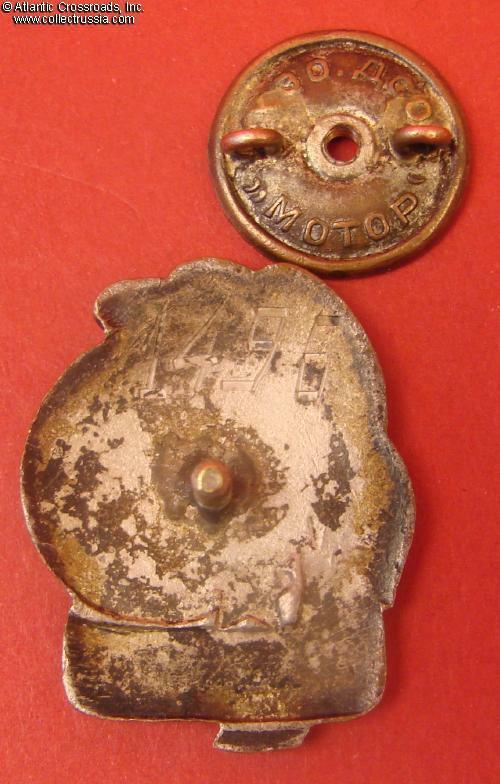 Brass, silver plating, enamels; 33.5 x 26.8 mm. 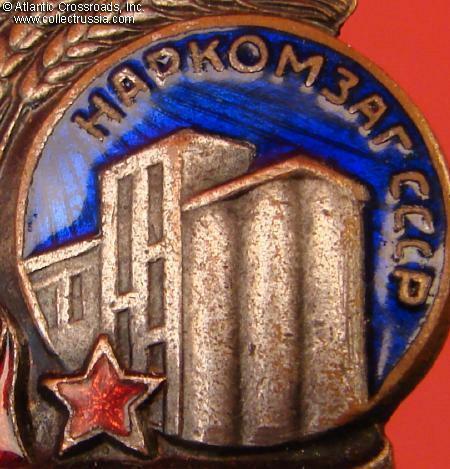 The inscription in the blue field above the grain elevators is "Narkomzag of the USSR". 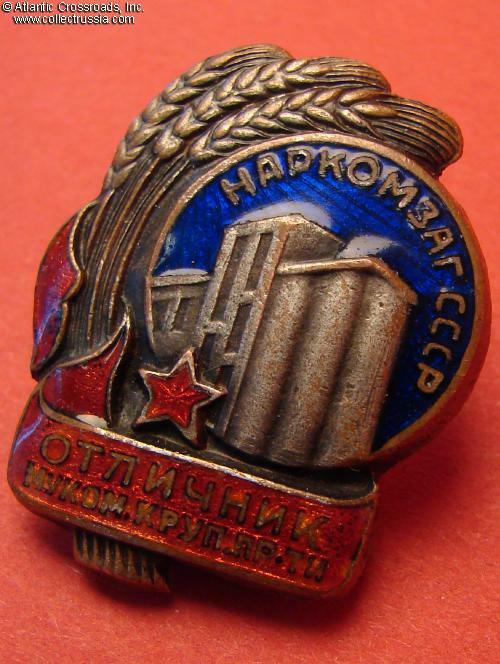 Very solid, massive construction as compared with the similar, more recent badges of the Ministry of Procurement and Ministry of Bread Products. 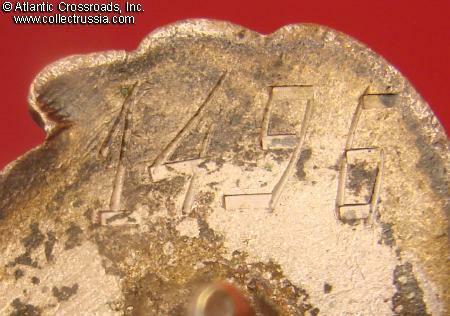 Note the very low serial number "1496" engraved in the characteristically early, angular or "geometric" font. In outstanding, excellent condition. The enamels are prefect, completely free of flaking or other noticeable wear. The silver plating is nearly untouched, with only minor wear to the high points of the obverse and entirely pristine on the reverse. 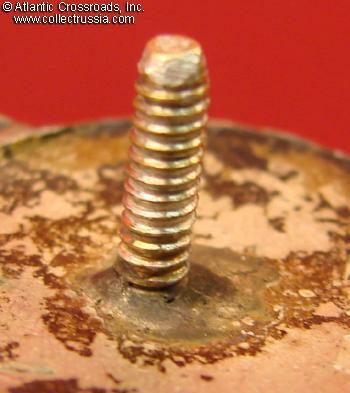 The screw post is nearly 9 mm long. 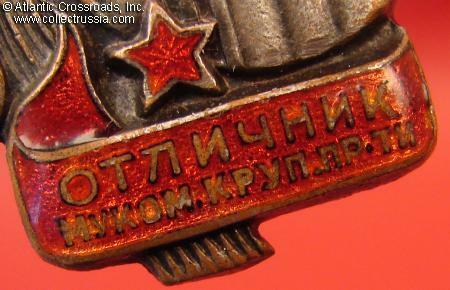 Includes original wing nut marked "KhEO DSO Motor".